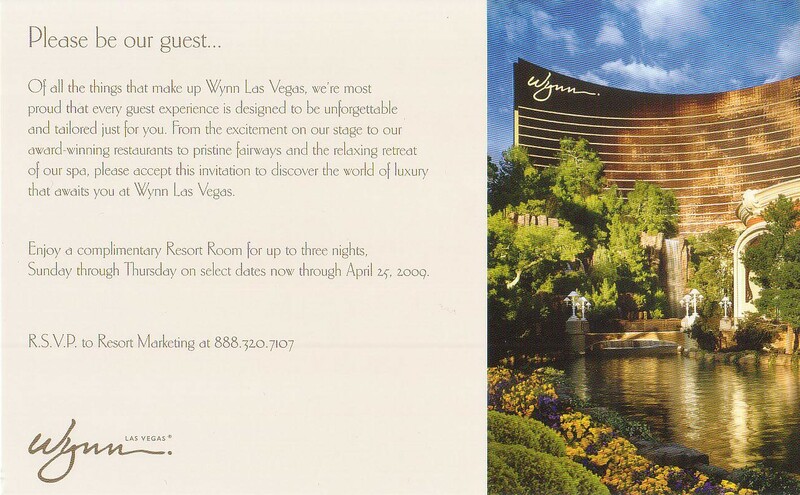 See if you can spot the subtle (but quite valuable) difference between these two invitations from the Wynn that Claire and I both received in the mail today. 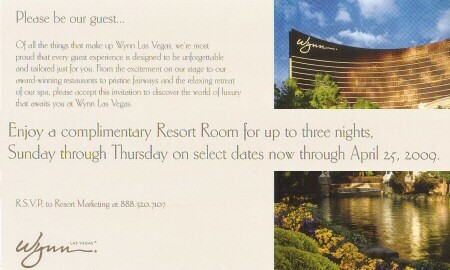 You can click to enlarge the whole flyer, but to make things a little easier I’ve zoomed in on the relevant section. 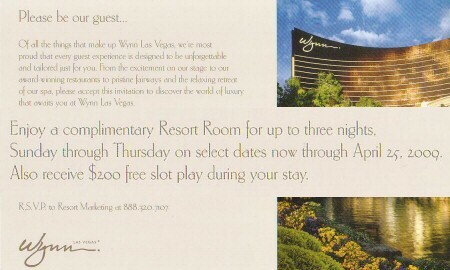 I can’t believe I’m complaining about three free nights at the Wynn. Well, I’m not really, because I should actually be able to use these offers next month. But why does Claire get $200 in free slot play and I don’t? We’ve both exploited the same signup offer, and nothing more. That room is a serious freebie for someone who has never given them any real action, but another $200 on top is incredible. are you over there to take up the offer? 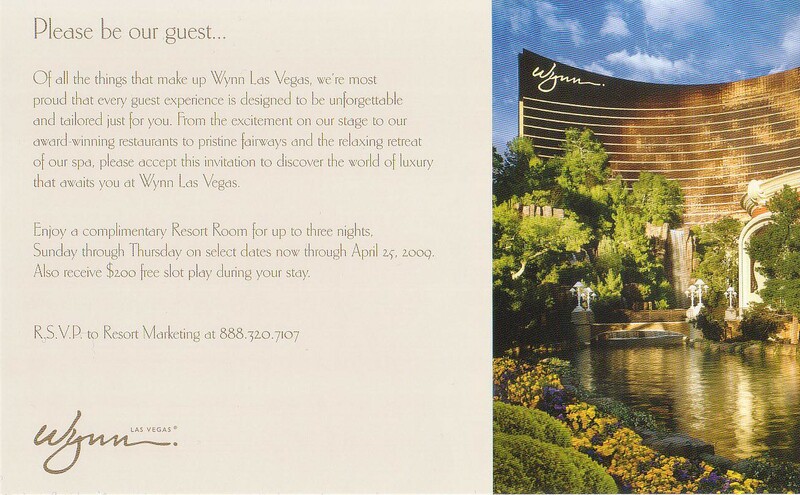 I must really have more hotel rooms than I know what to do with if I’m actually cancelling a reservation at Caesars Palace that cost me nothing.It’s a reluctant cancelation. I’m sure it’s a fine room, and I already know the toiletries are worth swiping.